The view overlooking the sea, Louvre Abu Dhabi (photo: Mohamed Somji). 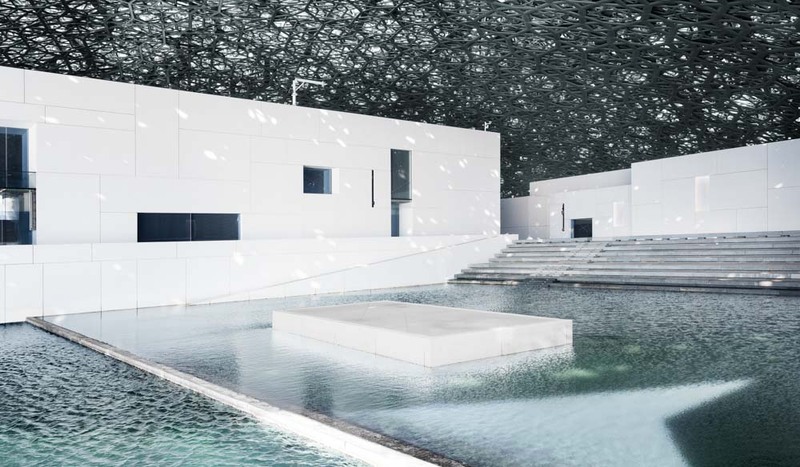 Louvre Abu Dhabi’s sun-dappled plaza, Louvre Abu Dhabi (photo: Mohamed Somji). Louvre Abu Dhabi (Photo: Marc Domage). 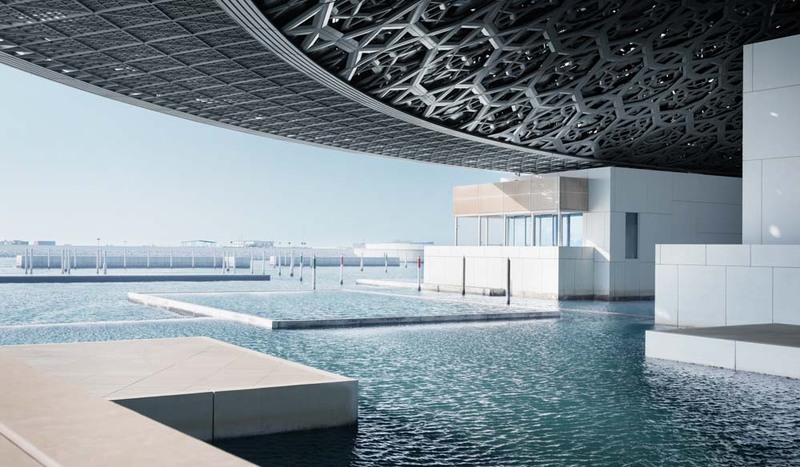 Back in 2007 when the ambitious joint project between Abu Dhabi and France was first announced, the original opening date for the Louvre Abu Dhabi was slated for 2012. Various factors, from labour issues to global oil prices to the economy, caused the date to be revised to 2015, then 2016 before it finally opened to the public on 11 November, 2017. 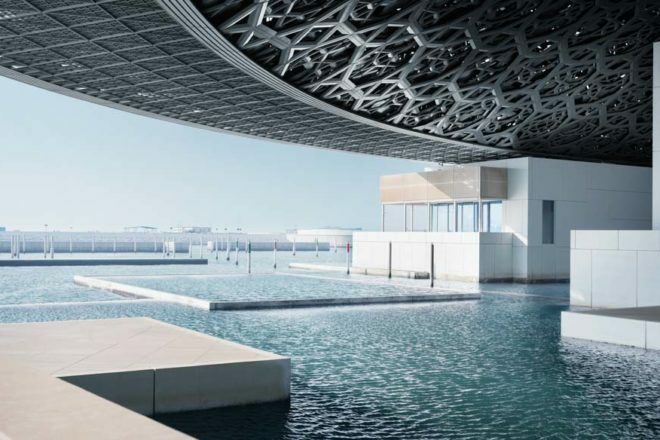 A breathtaking USD$1 billion was spent making the Louvre Abu Dhabi a reality: USD$525million to use the Louvre name for 30 years, USD$747 million to rent the artworks on show and a budget-friendly USD$83 million for the build itself. A staggering 55 detached buildings, all of which appear to float on water (much like the islands that make up Abu Dhabi), make up the sprawling Louvre Abu Dhabi, which is itself located on Saadiyat Island, which is being developed into the cultural heart of the Emirates. A total of 23 of the buildings are dedicated to galleries. Pritzker Prize-winning architect Jean Nouvel is responsible for the otherworldly design. The ‘museum city’ he has created is anchored by a giant dome that sits at the point where the desert sand meets the clear, cool waters of the sea. Inspired by the cupola, a constant touchstone in Arabic architecture, Nouvel’s dome is an intricate metal web of 7850 ‘stars’, rendered in various sizes and at different angles over eight different layers. When the sun passes through it, a mesmerising rain of light floods the interior, reflecting the intricate shadow patterns that are seen everywhere in Abu Dhabi as the sun beats down on the abundant date palms; at night the lights shining from within make the entire structure sparkle as you move past it. 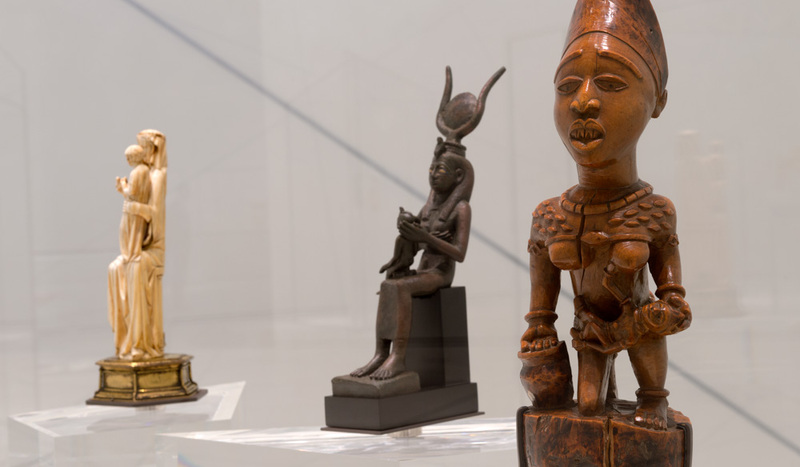 French curators have advised the Emirates on the acquisition of 235 works so far, including a Mondrian once owned by Yves Saint Laurent, Bellini’s Madonna and Child, and the head of a Benin king. A further artworks are on loan from the Louvre and 12 other leading French institutions, including Musée Rodin, Centre Pompidou, the Musée d’Orsay and the Chateau Versailles. Works on loan Leonardo da Vinci’s La Belle Ferronnière from the Louvre in Paris, Whistler’s Mother (officially Arrangement in Grey and Black No.1) by James Abbott McNeill Whistler from the Musée d’Orsay, and Napoleon Crossing the Alps by Jacques-Louis David from the Château de Malmaison. Effectively a museum within a museum, the Children’s Museum spreads across two floors and will host family-focused exhibitions and interactive workshops (in both Arabic and English) that are designed to educate as well as enchant six- to 12-year-olds.